this week is just a mish mosh. nathaniel and i played day of the tentacle. i love that game! i also love photos of my kids working with their friends. Have you ever made a process video on how you do these pages? I am curious at what size you print the photos and what size you cut them down to. 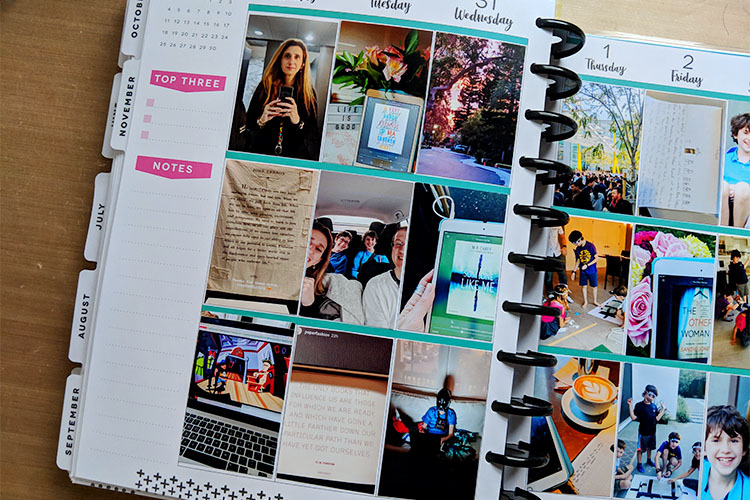 Love these pages and use of the planner. This inspires me for the upcoming year. Thank you. That seems simple enough. 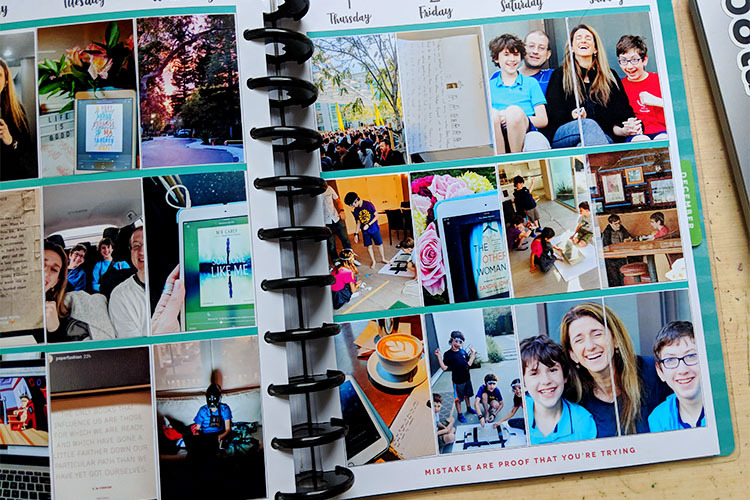 What software do you use to print 4 2×3 photos? 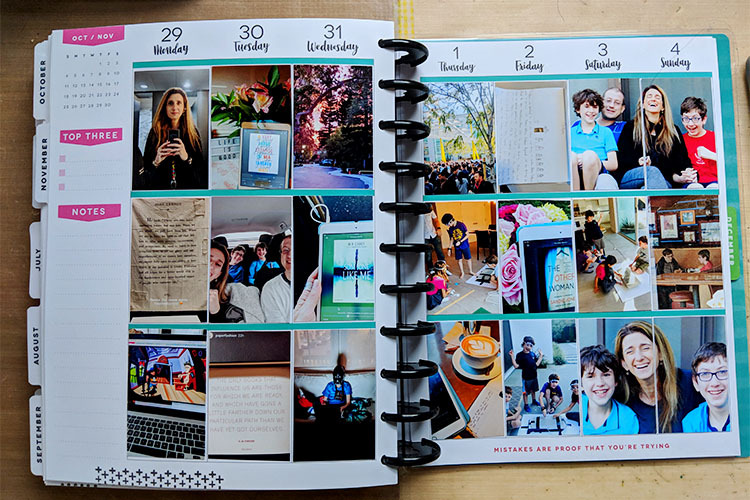 I bought a Happy Planner and am excited to start but having trouble with the printing part. I feel the same way!! 🙂 I am so glad you got it working!